I promise I’ve not been hiding. The key is within planning and organisation. I have been devoting my time to a key plan for blog posts and innovation. I’m up to date with all the fresh content to soon appear for debut. Today I thought I’d share one of my favourite coats in spotlight. I love styling this in so many ways but for me simplicity is essential. So I thought I’d share it with you guys. 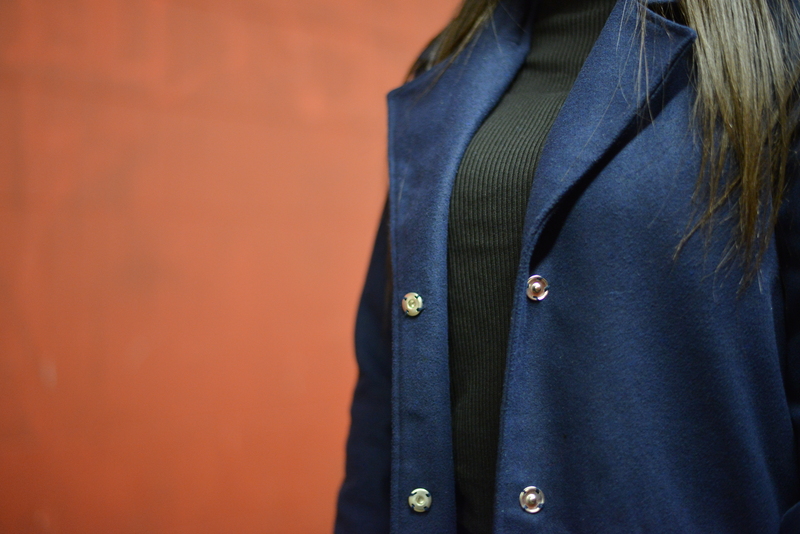 With a simple outfit of full black the navy blue is caught with the eye which is the exact vibe I love to go for. 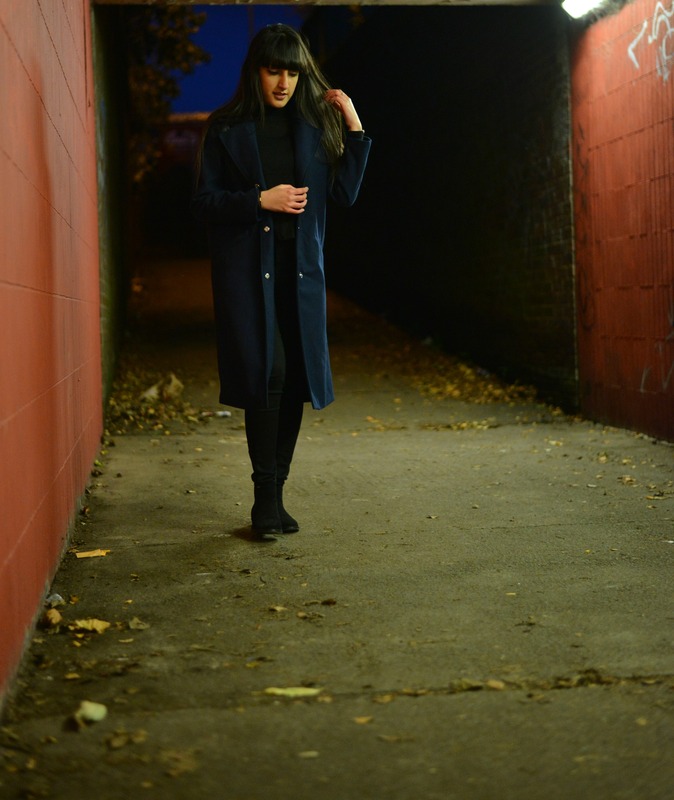 Molly Overcoat – Your Shores. 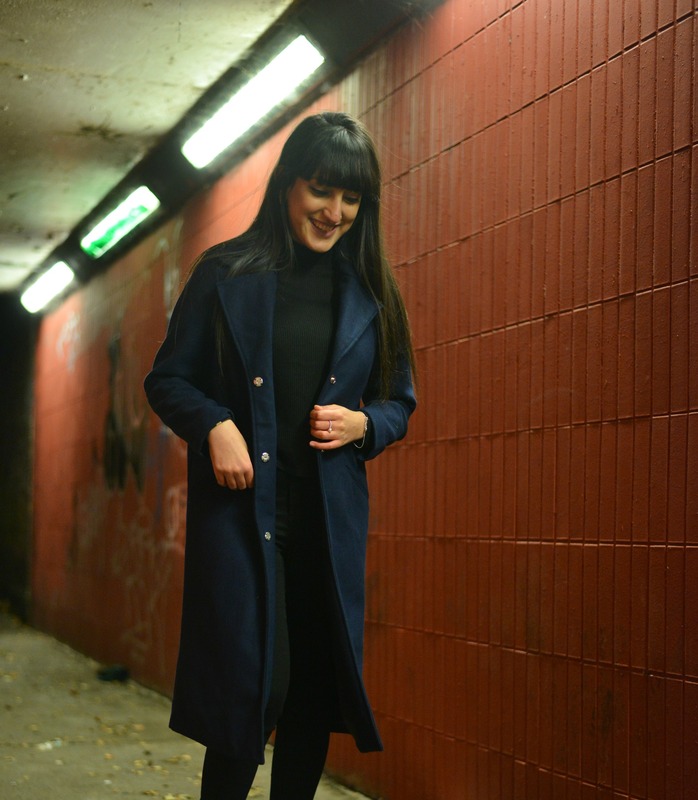 A long boyfriend overcoat is a staple this A/W if I say so myself. They’re everywhere on the high street in the deep burgundy and light grey shade. You can style them my layering and even with the simplest of items. I love how mine fits, the length is not too long and it’s not to oversized either. Short Polo-Neck Top – H&M. I love the style of this polo-neck as it’s not your average polo-neck as its much more thinner. It’s so easy to style with any pair of jeans as well as a nice pair of trousers. Skinny High Waist Jeans – New Look. It doesn’t get more standard than a black high waist pair of jeans. However, I love the fit of these I didn’t really think New Look jeans would be this satisfying. 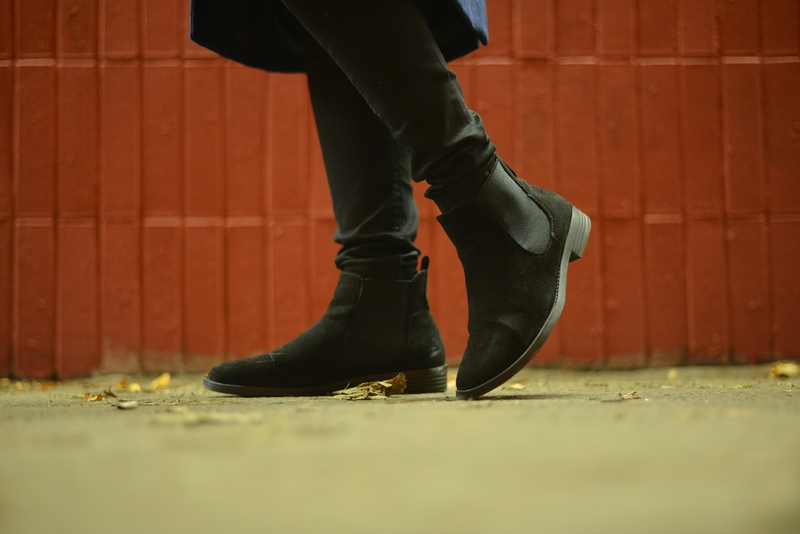 Suede Chelsea Boots – Asos. I purchased these boots a couple of months ago and honestly I love styling them with all different outfits. The ones linked aren’t the exact ones I have but they’re the closest I could find. What is your favourite outerwear this A/W? Comment below. « Soap and Glory Merry Glitzmas!